In a world driven by results, maximising productivity is an important way to establish how to meet and exceed your goals. No more is it a question of just letting someone “get on with it”. Now is the time to embrace technological advances in measuring efficiency, and see your business grow as you redefine the way you measure efficiency across all areas. Coachify™ are specialists in providing wearable solutions to gauge productivity across all sectors. Let’s be clear: productivity goes way beyond just input and output. It is much more than simple time and motion studies, and it even surpasses identifying the success or failure of any one task. Productivity is an all consuming, constant battle to ensure that our time is as productive as possible. But how can you quantifiably measure success? In much the same way as big companies have for years been using large amounts of data to review and transform their performance, the time has come for individuals to use technology in order to be able to master their own performance. By breaking down productivity into four intelligences (mental, emotional, physical and spiritual), I am pioneering ways to use data to transform many areas of our daily work and life. I believe that now we can all embrace wearables as a key measurement of productivity. Wearables neither lie nor tell us what we want to hear. The data they gather contain intelligence to identify pitfalls in the behaviours of the wearer, across all four intelligences. Wearables are among us already, and are set to become highly beneficial for workers seeking business coaching in the workplace. According to a recent UK study, reported in The Telegraph, Goldsmiths, University of London analysed the impact of wearable technologies in the workplace on employee well-being, productivity, and job satisfaction. They found that worker productivity increased by 8.5 percent, while job satisfaction levels rose by 3.5 percent. Are you ready to embrace technology as the cornerstone for measuring your own productivity or that of your workers? 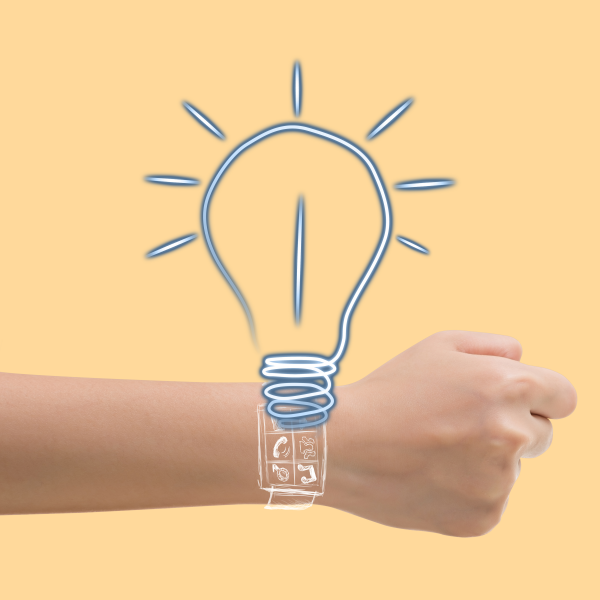 Share a comment below about what excites you about wearables and productivity. I save so much time by getting work emails on my Moto 360. I know I’m up to date and can react quickly when I need to. Would advise any company to support BYOD.